The individual mandate has long been the most controversial part of the ACA. That controversy magnified after millions of people lost their insurance plans despite assurances from Obama that no one would be forced to give up plans that they like. Even the Washington Post declared the statement to be false and a case of consistent and repeated misrepresentation. The political damage over the ACA is clearly growing. That damage was greatly magnified by the mismanagement of the rollout by Health and Human Services Secretary Kathleen Sebelius and her staff. Such political costs of federal law however are not a basis for regulatory changes, even when such changes are allowed under the federal law. In this case, the President has far exceeded any plausible claim of statutory or regulatory authority. The individual mandate is the heart of the ACA and was the subject of heated and careful drafting. There is no provision for an exemption, but Obama has now rewritten much of the act with a series of extra-legislative changes — no fewer than 13 such executive changes to the law. This last change will allow virtually anyone to avoid the individual mandate requirement — precisely the option that the White House successfully blocked when proposed in Congress. The President continues to operate well off the Madisonian map — inventing exemptions and granting suspensions where no provision is made under the law. Most importantly, he is ordering changes proposed and rejected in Congress. These changes are unlikely to receive serious judicial review if past cases are any measure. The Administration has repeatedly relied standing challenges to block review. Since the Rehnquist Court, standing has steadily shrunk to the point that constitutional violations are now being left unreviewed for lack of standing. The courts have long been, in my view, absent without constitutional lead as discussed in prior testimony (here and here and here). Democrats continue to enable this shift of power to the Executive Branch with no concern for the changes that they are making to our balance of power. They continue to yield power to the Executive Branch even as evidence mounts that they are headed to a possible electoral disaster. It is the ultimate example of personality overwhelming principle. It is not just incredibly short sighted but self-destructive. A future president can easily claim the same inherent authority to suspend or grant exemptions to environmental or anti-discrimination law or suspend tax burdens for the top one percent. It would also mean that a president is virtually unlimited in being able to amend or suspend laws. It makes the legislative process merely a discretionary stage for presidents. The animus toward the Republicans is blinding Democrats to the implications of what President Obama is creating in this new uber presidency. The President is appealing to that animus in taking these steps and aggrandizing power in his branch. It is part of “all is fair and love and politics” approach to constitutional law. It would take offline the stabilizing elements of the system and reduce the system to little more than raw muscle plays by politicians. Under our current system, there is only so much harm that any branch can do if it remains within the constitutional lines. It is designed to be idiot-proof and we have truly tested that design. However, once one branch goes outside of the lines, the system is left as little more than politics at any means. While there will be many who applaud the latest insular change either for its political or practical benefits, it will join a troubling mosaic of unilateral and unchecked executive power. There will come a day when people step back and see the entire mosaic for what it truly represents: a new system with a dominant president with both legislative and executive powers. Are you saying that just because a president was born before the Constitution he could have TWO foreign parents but would be a loyal president, but if he were born after the Constitution the same two foreign parents would make him disloyal? Well, Andrew Jackson, one of our most fiercely loyal presidents, had TWO foreign parents. To be sure, he was under the grandfather clause, which is why you say that “ALL presidents have been born two two citizen parents.” But that is false. It is only the presidents after the Constitution who mainly had two citizen parents. But not even all of them did. Chester A. Arthur’s father was not a citizen (birthers say that Arthur hid the fact that his father was not a citizen—but there is no evidence of that at all). There is also NO evidence that James Buchanan’s father was ever naturalized. And the first presidential candidate of the Republican party, John c. Fremont, proclaimed that his father was not a citizen in his campaign biography. Well, he did not win—but it wasn’t because his father was not a citizen. And, of course, if he thought that having a father who was not a citizen would not make him eligible, Fremont would not have written it in his campaign bio. Fremont believed, as did Tucker and Rawle and the Lynch v. Clarke ruling before him, and the US Supreme Court ruling in the Wong Kim Ark case after him, that EVERY child born on US soil is a Natural Born US Citizen. Fremont as born on US soil. Andrew Jackson was born on US soil. Rubio and Jindal were born on US soil. Obama was born on US soil, in Hawaii (as has been shown overwhelmingly). ALL of them were or are Natural Born Citizens. Regardless of her age, she was right. The US-born child of one or two illegal aliens is just as much a Natural Born Citizen as the US-born child of two US citizens. IF John Jay wanted to say “nobody who does not have two [or even one] US citizen parent should get that job,” he would have said so, but he didn’t—and he was a specialist in the common law, which defined Natural Born status as coming from the place of birth, not the parents. And, as noted, millions of US-born children of foreign parents fought and died for the USA in two world wars, and there is not a shred of evidence that they were any less loyal than the US-born children of US parents. And there is not a shred of evidence that Washington or Franklin or Hamilton or any of the members of the Constitutional convention thought that the US-born children of foreign parents would be any less loyal than the US-born children of US parents. If they had thought so, they would have said so—-but they didn’t. IF the writers of the Constitution had followed Vattel, they would have said so, and they didn’t. They did not follow his advice on having a state religion, so the mere fact that they had read his words does not show that they followed them. The Heritage Foundation book and the US Electoral College and the US Congress and ten appeals courts and the current US Supreme Court, which turned down an appeal of one of those cases leaving its ruling STANDING, all are right—-and you are wrong. Yep. That’s what they taught us in the 4th grade. And Ms Pafford probably dated some of the founding fathers so I pretty sure she knew what she was talking about. “Citizen” in early drafts was strengthened to “natural born citizen” in the Constitution. 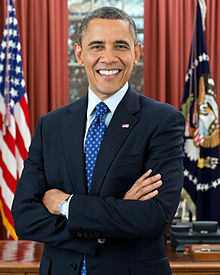 All Presidents, except one, have been “natural born citizens.” “Natural born citizen” is the strongest possible form because nature requires a mother and father for birth and to be an American President, the candidate must be born naturally or through the natural birth generated by two parents. Natural born means what it says – nature. CERTAINLY WE ARE ALL FAMILIAR WITH NATURE. Understanding that, Hamilton’s and Jay’s exhortations to oppose with “every practicable obstacle…foreign powers to gain an improper ascendant in our councils” and ” provide a strong check to the admission of foreigners to the administration of our national government,” required the highest possible standard for eligibility, a natural born citizen would have been one born in America, naturally, to two parents in and of the same country with citizenship therein – comprehensively avoiding ALL FOREIGN ALLEGIANCES. There is no greater obstacle or stronger check than being born, naturally, in America to two parents that are citizens – birth is natural to a man and a woman – a natural born child is one with two parents. A birth can take place anywhere. The nature of birth is the combination of two parents. The nature of birth is not geographic. Naturally, two citizens of the same country produce a birth. It is a rare exception to the rule that two citizens of different countries produce a birth. A candidate for the office of the Presidency of the United States would have been of sufficient caliber and standing that it would have been presumed and understood that he had two parents that were citizens of the same country and that country must have been America. Natural birth occurred with two parents and marriages that produced presidential candidates were composed of citizens of acceptable or high repute. The NATURAL in “natural born citizen” refers to nature, or two parents who are citizens being married and having children. All Presidents except one have been exactly that, natural born citizens born to two married parents who were citizens. Nature is natural and it is natural for birth to occur between two citizens of the same country. Sounds natural to me. That may have been Vattel’s point. You have to believe that the goal of the American Founders was to LOWER THE STANDARDS. Natural born presumes or understands two parents as citizens and it always has. Does common law say that births are immaculate or that most children are born bastards out of wedlock? Was that the standard in 1789, out of wedlock and parents as citizens of different countries. Natural born means children born of two parents, naturally, who are citizens and in the same country. Your theory would allow two illegal alien parents to enter the country, give birth, and the child would be eligible for the presidency. Is that correct? 1. Below, you will find Wikipedia presenting LEGITIMATE TRANSLATIONS of Vattel’s use of natural born citizen and native in 1758. They are synonymous and defined by two parents. 2. Wikipedia presents Joseph Story as having used “native” for “natural born citizen.” Both of these terms were attributed to Vattel in this context. This is very forceful from Hamilton and can only mean he expected the HIGHEST POSSIBLE REQUIREMENT FOR ELIGIBILITY TO PRECLUDE FOREIGN INFLUENCE. That is two parents, which was Vattel and the French. Your interpretation of natural born citizen allows a person born to two foreign citizen or alien parents to become president. Hamilton, et. al., did not allow that. The Founders took eligibility seriously and knew of Vattel’s “parents” requirement. An English-language translation of Emerich de Vattel’s 1758 treatise The Law of Nations (original French title: Le Droit du gens), stating that “The natives, or natural-born citizens, are those born in the country of parents who are citizens”, was quoted in 1857 by Supreme Court justice Peter Vivian Daniel in a concurring opinion in Dred Scott v. Sandford, as well as by Chief Justice Melville Fuller in 1898 in his dissenting opinion in United States v. Wong Kim Ark. By contrast, the very French, Vattel, required “parents.” Thus, Vattel and the French vigorously addressed potentially adverse “foreign allegiances” while the inept Americans left them to fate. That dudn’t make any sense either! According the Jay, there was considerable concern for security against foreign allegiances in high office. If a person born here had two parents that were foreign citizens, because his birth site was America, he was a natural born citizen who was eligible for the presidency AND HE WAS COMPLETELY SUBJECT TO FOREIGN INFLUENCE AND ALLEGIANCE through his two foreign citizen parents. Answer: You are wrong. The difference is the PLACE OF BIRTH. All naturalized citizens are born outside of the USA. They cannot be Natural Born. ALL Natural Born Citizens are born in the USA. Tucker and Rawle and the Lynche v. Clarke ruling and the Wong Kim Ark Supreme Court ruling and the US Electoral College and the US Congress are right—–and you are wrong. Answer: If he meant parents, he would have said parents—but he didn’t, and neither did John Adams or Thomas Jefferson or James Madison or Alexander Hamilton—or ANY member of the Constitutional Convention. Answer: You are precisely RIGHT. So if they had meant “two citizen parents,” they would have said so. If they had meant “we are switching from the common law to Vattel,” they would have said so. But these very intelligent men, not fools at all NEVER SAID SO. Answer: Naturalized citizens are, of course, citizens, and they are eligible to become members of the US House of Representatives and the US Senate. But they are NOT eligible to become president. But they are citizens. ALL persons who are citizens are eligible to become members of Congress, both naturalized and natural born, but only Natural Born Citizens, who cannot have been naturalized, are eligible to become president. Schwartzenegger, who was naturalized, is not eligible, neither was Henry Kissinger. But Obama, and Rubio and Jindal, all of whom were born on US soil with one or two foreign parents, are all Natural Born Citizens due to being born on US soil. IF the writers of the Constitution had meant that two citizen parents (or even one) were required in order to be a Natural Born Citizen, they would have said so. If the writers of the Constitution had switched the meaning of Natural Born Citizen from the common law that they were familiar with as lawyers and justices, they would have said so. BUT THEY NEVER DID. Answer: That is correct. I’m not aware of any senator who was naturalized, but there have been several congressmen who were naturalized. I agree that elected officials have acquiesced on eligibility making the point moot. The Founders, however, employed citizen and natural born citizen differently. The only difference is parentage. Jay was obviously concerned with foreign allegiances and it is not plausible that he did not mean two parents. It is an oxymoron to say your goal is unqualified allegiance, then bestow the highest office to the offspring of a foreign citizen or citizens. Jay MUST have read Vattel’s reference to “parents” and Jay must have been aware of the effect of “parents” and Jay must have been aware of the effect he was attempting to capture when he presented a concern for precluding foreign allegiances. You will infer whatever you please. I know the Founders were not fools. We will have to disagree. A presidential candidate is a natural born citizen with citizen parents. A senatorial candidate is a citizen with one parent a citizen, or a naturalized foreign citizen or naturalized alien. For the purposes of candidacy, there are quantifiable distinctions and differences in citizenship. Natural born citizen and citizen cannot be the same. The difference is one or two parents. If birth in the country was the sole criterion, the requirement for senator would be secondary and lower at naturalized citizen. The requirement for president would be natural born citizen AND citizen. You posit that birth in the country, no matter the status of the parents, establishes both natural born citizenship and citizenship – candidacy for president and senator. Impossible. There are only two levels of citizenship, natural born citizen and citizen, mentioned as eligibility. NATURALIZED CITIZEN is not mentioned for eligibility. Naturalized citizen cannot be the same as citizen. The difference is CITIZEN and NATURAL BORN CITIZEN. Are Natural born citizen and citizen the same? Are citizen and naturalized citizen the same? If citizen and naturalized citizen are the same, a naturalized citizen is eligible for candidacy for senator. IS NATURALIZED CITIZEN ELIGIBLE IN THE CONSTITUTION? Are natural born citizen and citizen the same? Not in the eligibility requirement in the Constitution. Answer: YES. The difference is that the category citizen includes naturalized citizens and Natural Born Citizens. The category Natural Born Citizen cannot include any naturalized citizens, but it does include every citizen born on US soil regardless of the citizenship of the parents. Answer YES. That is precisely right. If you are born on US soil and not the children of foreign diplomats or enemy invaders you cannot have any foreign allegiances no matter what the citizenship of your parents were and no matter what foreign laws say about the matter. So, to John Jay being born on US soil precluded foreign allegiances. If he had said: “Under the Vattel definition, not under the common law” (which he was a specialist in), that would be a different matter. But he didn’t. He was referring to the common law, as did the CONSTITUTION——-as the Tucker and Rawle books and the Lynch v. Clarke ruling and the Wong Kim Ark ruling, and as the Heritage Foundation book and the Congressional Research service and the US Electoral College and the US Congress UNANIMOUSLY all have recognized. Is there a difference between citizen and natural born citizen? Why is the requirement for senator, citizen and for president, natural born citizen? Jay did say that natural born citizen precluded foreign allegiances. He must have believed that natural born citizen imposed the maximum requirement. Answer: Obama was never an Indonesian citizen, as the Indonesian Embassy will confirm. Answer the site is wrong, the first use of the term Natural Born Citizen in English that has been found was John Jay’s letter to George Washington, and John Jay was an expert in THE COMMON LAW. The writers of the US Constitution did read Vattel, but they did not mention him at all in the Federalist Papers, and they did not adopt his suggestion that every country should have a state religion, so there is no evidence whatever that they used Vattel’s idea that parents were involved in Natural Born Citizen status. IF the writers of the Constitution had switched to Vattel from the common law—which was, duh, common—-they WOULD HAVE TOLD US, and they didn’t. Answer: No question about it. Foreigners cannot be president, and naturalized citizens cannot be president. But the US born children of foreigners are not foreigners and they are not naturalized citizens. They are Natural Born US citizens and hence the Natural Born Citizen clause is not an attempt to protect against them. If the writers of the US Constitution had thought that the US-born children of foreigners were not Natural Born US citizens at birth, THEY WOULD HAVE TOLD US—but they never did. If the writers of the US Constitution had thought that the US-born children of foreigners were lower-level citizens than the US-born children of US citizens, THEY WOULD HAVE TOLD US—but they never did. That is why your nutty theory was not agreed with by Tucker and Rawle, who were friends of the writers of the Constitution, or by the famous Lynce v. Clarke ruling in New York, or by the US Supreme Court in the Wong Kim Ark case, or by the Heritage Foundation book, or by scores of other books and articles, or by the US Electoral College or by the US Congress (which voted to confirm Obama’s election twice UNANIMOUSLY and that included the votes of Rep. Michele Bachmann and Rep. Ron Paul) or by TEN appeals courts, or by the current US Supreme Court which on October 1, 2012 turned down an appeal of one of those ten appeals court rulings—which had held that EVERY child born on US soil is a Natural Born Citizen—and by turning down that appeal, the current US Supreme Court allowed the ruling of the lower court, and the other nine appeals courts TO STAND. None of the quotations that you have provided says anything about two citizen parents (or even one) being required in order to be a Natural Born Citizen. None says that the writers of the Constitution switched the definition from the common law to Vattel. Not many facts there. How about that, a missing passport? What a coincidence. What kind of Indonesian citizen was the current officeholder? An illegal alien? That statue says a lot. Oh what a tangled web we weave when first we practice to deceive. What is the difference between the citizenship degree required for president and senator; between natural born citizen and citizen? Why did Vattel quantify that difference with “parents?” Was Vattel the original two-fer? It seems Vattel was the respected and studied authority with a “parents” requirement. The LONANG site attributes native, or “natural born citizen” to Vattel. There was also a perception that a usurper from the European aristocracy could potentially immigrate and buy his way into power. Constitutional scholar Akhil Amar points out that the laws of England specifically allowed a foreign-born head of state, and that this had been an unhappy experience for many who had immigrated to the United States. You have quite the difference of opinion with many, don’t you? When Madison said “a different opinion prevails in the United States”’-he was NOT saying that the Constitution is using the Vattel definition and not the common law definition. No member of the Constitutional Convention ever said that or used the term Natural Born or Natural Born Citizen to refer to parents—EVER—only to the place of birth. Ayers was probably a louse, but that does not mean that he said that he was providing financial aid to a foreign student and that that foreign student was Obama. He simply did not say it, and there is no other evidence whatever that Obama applied to college as a foreign student. In fact, the story comes from AN APRIL FOOL’S ARTICLE, published on April 1, 2009, which was exactly five years ago today. Are you in the habit of believing April Fool’s articles. Obama really was born in Hawaii, not Kenya, and really is a Natural Born US citizen, and the US Congress simply recognizes that fact—as it showed by its UNANIMOUS vote. It is a fact, no matter how much you may not like it, it is a fact. I wonder if involving Mr. and Mrs. Ayers was titling fraud. Whaddaya think? A little misdirection? OK. I gotcha. Bill Ayers, et. al., is a pillar of the community, not a radical, the ends justify the means, communist ideologue. I think the point you missed was that the record was scrubbed by Brennan, thus the Osawld as Patsy, 18 minute Nixon gap reference. Mysterious things just happen, right? You’re absolutely correct about the Congress and Senate that allowed that fraud to be perpetrated on the American people. That’s a very good point. Those objective and honest elected officials need admonishment. Was Vattel criticized for his “parents” requirement? Do you have that image of the American passport? And what ever happened to the citizenship status of a child born to a minor mother and a father that was a foreign citizen?